If you thought you no longer qualified for tax savings on improvements done in 2011 or 2012, you’ve had a reprieve. 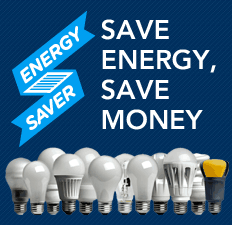 The American Taxpayer Relief Act of 2012 extended residential energy tax credits for existing energy efficient homes retroactively, meaning that certain improvements made on your home since the former expiration date of 2011 now can be applied. In fact, the extension actually gives you an extra year if you are still working on a project or would like to start one, since the wording has been changed requiring that the improvement must be started by December, 31, 2013 to qualify. Not all energy-efficient measures and appliances are approved, so if you installed or are thinking of installing a biomass stove, HVAC system, insulation or roofing, non-solar water heater, or windows, doors, and skylights in your home in 2011, 2012, or 2013, you should take a more detailed look at the credit outlined in the Taxpayer Relief Act. Residential tax credit information is found on the Internal Revenue Service form 5695 relating to items that qualify for a 10% credit of up to a lifetime limit of $500. Please note that window replacement in your home can only represent up to $200 of that credit. If you purchase or purchased a geothermal heat pump, solar energy system, wind energy system, or fuel cell, you may be entitled to credits of up to 30% of their cost until 2016, as well. In addition, the American Taxpayer Relief Act of 2012 also extended contractors of non-manufactured energy efficient new homes a $2,000 credit and a $1,000 credit for manufactured energy efficient new homes, providing incentive for more energy-efficient homes to continue to be built. As always, please consult with a qualified tax consultant for details on how these extension can affect you and your home or visit energy.gov for updates.